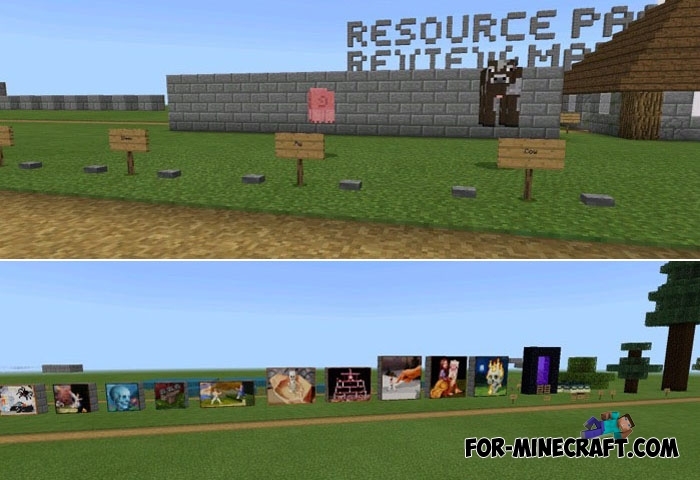 Are you creating your resource pack or just want to see all the new blocks and items available in the latest updates? 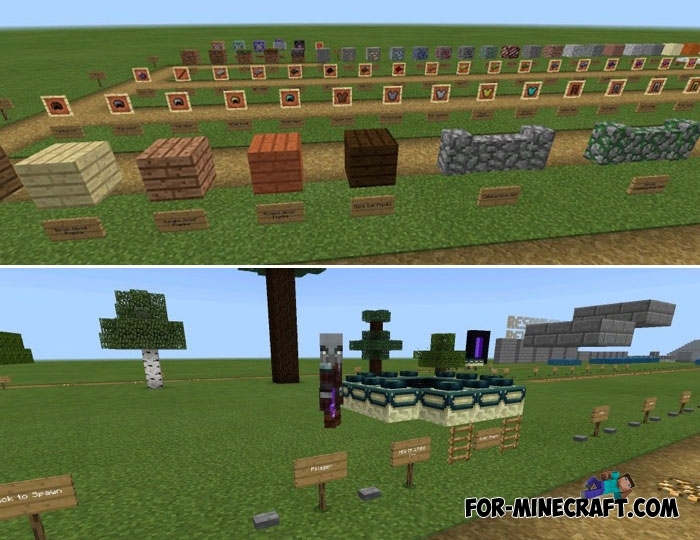 The easiest way to do this is to download this map and slowly explore all the features that appeared in Minecraft BE 1.9. To be honest, the guys from Mojang decided to continually amaze their fans by releasing the next update, which you can download right now by clicking on the link. Added new villages that you can review and explore in detail. To get there you need to use the installed teleport. The following updates will give the opportunity to visit the rest of the village. A lot of new stairs, slabs and walls of vanilla blocks. They really lacked during the construction of large mansions or miniature houses. The second very significant point was the illager. This is a new mob submitting only to itself, in the future, the villains will unite in small groups of 5 people and attack peaceful villages, so find a village in advance in order to personally see it. 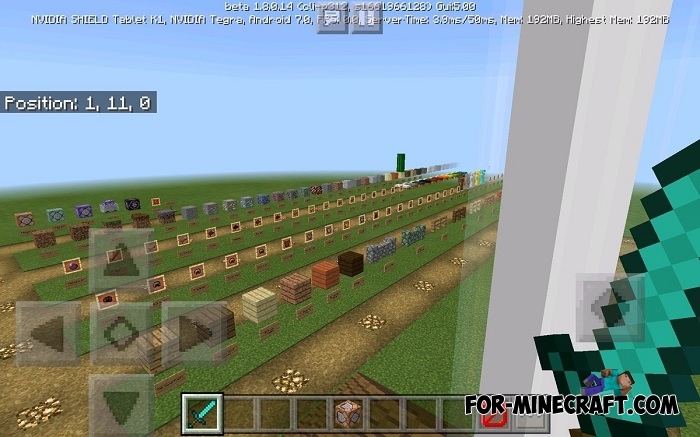 Also, the map will show you the blocks from the previous versions and in the new updates the creator will add the planned blocks from Minecraft BE 2.0 (if it gets that name).